Original content can not only add more to your website, but it can also help your rank better in search engines. 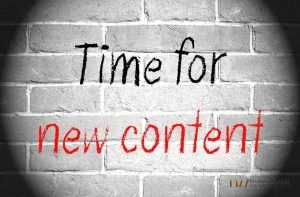 How can original content help optimize a website? Below are a few ways unique content help your website significantly. Original Content Can Help You Rank Better with Search Engines. Google is a huge fan of creative and original content. The more new content that is produced, the better you will rank. This can be adding new product pages or even a simple monthly blog post. Whether there is a FAQ page or a “How to” page, the more pages that are produced about how a product or service works, the more authoritative you are seen amongst customers and potential customers. They see you as an authority in your field, you are more likely to get more traffic on your website. By adding original content to your website, blog, or even social media, you are keeping your existing customers updated. Customers will appreciate new information from you and search engines will love all of the new content that is being produced. Writing new and original content will not only keep your current customers interested, but it will also catch the eye of new customers, as well. The more content that is put out, the more it will be seen by people who are interested in your product or company, creating new relationships and business. When you need content management for your website, Call Nolen Walker at 866-356-8198 today for authoritative, original, and quality web content.